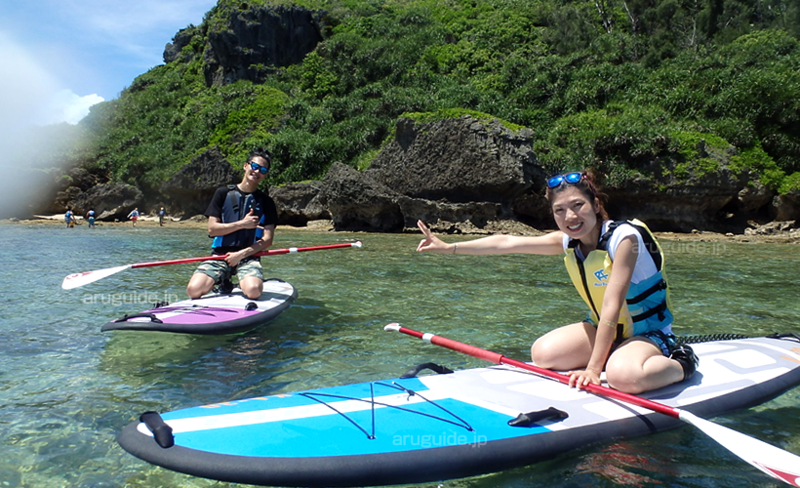 From the SUP if there are no waves, you can admire the wonderful coral and fishes. 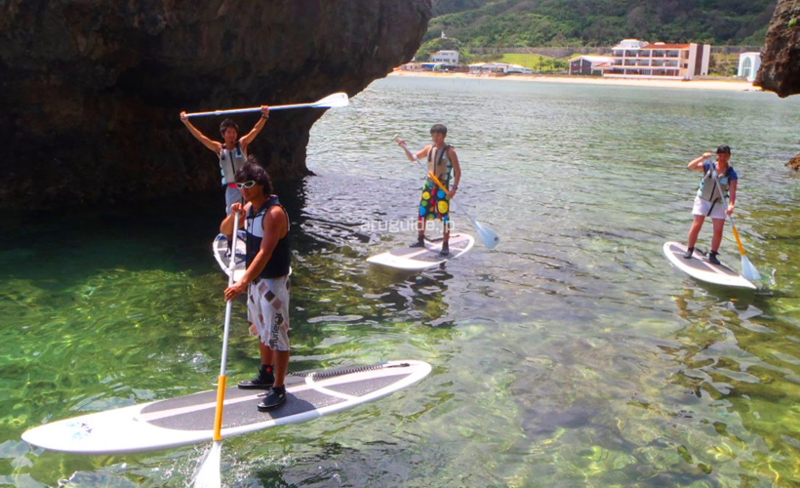 Let's enjoy the Okinawan landscape during a SUP adventure. 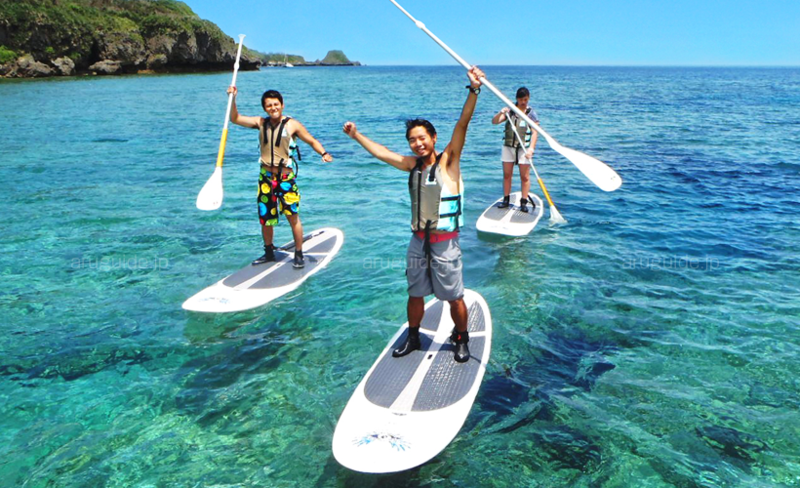 We will start first by teaching you how to do SUP. 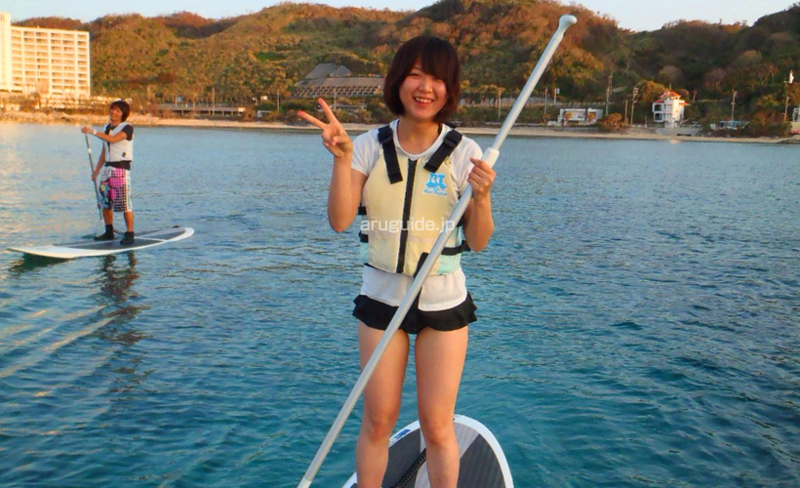 The board of the SUP is thicker than other boards, the stablity is greater,so it's easier. 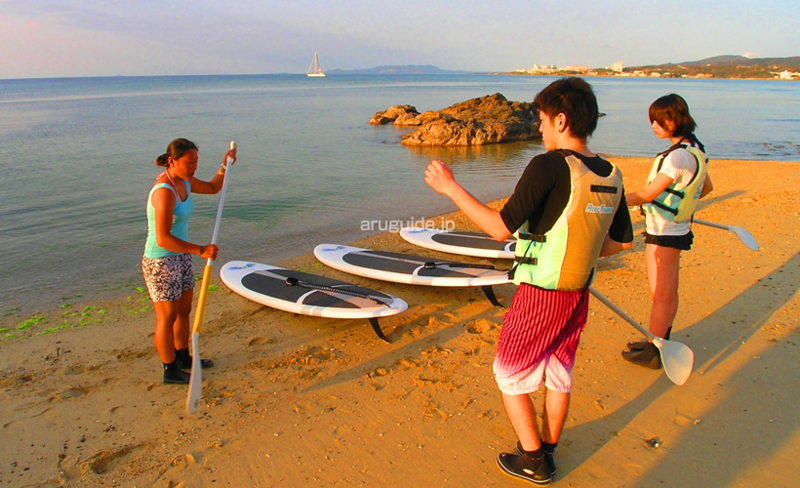 We will start paddling knees on the board which is easier to start. As soon as you get used to it, we will try to stand on the board. You will start to feel proud and great. The more confident you will become, the more enjoyable it will be. Depending on the sea condition we can discover the surroundings or enjoy surfing. ・Bring an extra T-shirt as you may get sunburned and wet on this adventure. (When we go kayaking, we will take off wet suits down to the waist, so our upper bodies are likely to see a lot of sun and get wet. )※We supply free marine boots.